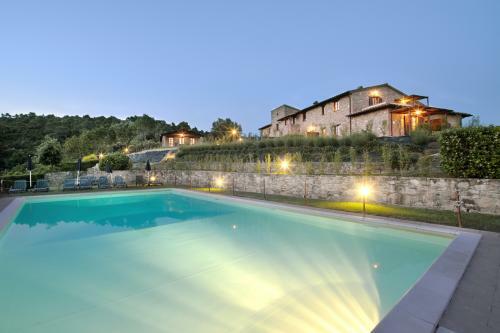 Farmhouse Forte Sorgnano is situated in the center of Umbria, between Assisi and Perugia, Todi and Montefalco, in a unique position for its panorama and quiet: on the top of a hill, at an altitude of 450 metres, immersed in a countryside which is still uncontamined. 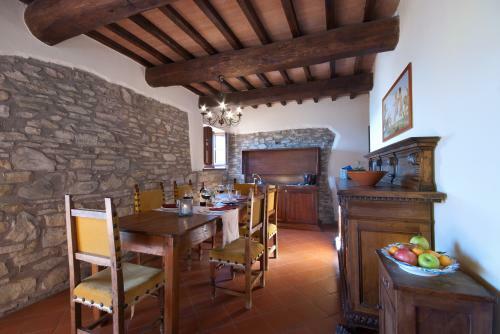 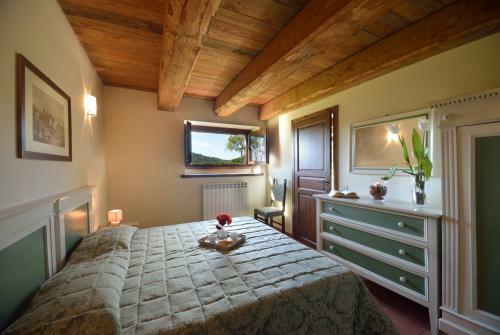 Recently renovated, the farmhouse has rooms and apartments bright and welcoming, that are unique for the beauty of the interiors and the naturalistic context in which they are set. 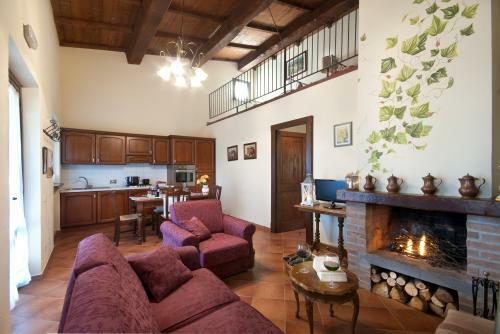 Apartments can host 2-6 people, they are spacious (from 60 to 90 mq, it depends on the tipology), complete with private bathroom and all comforts, with view on the surrounding gardens and/or the exterior swimming pool. 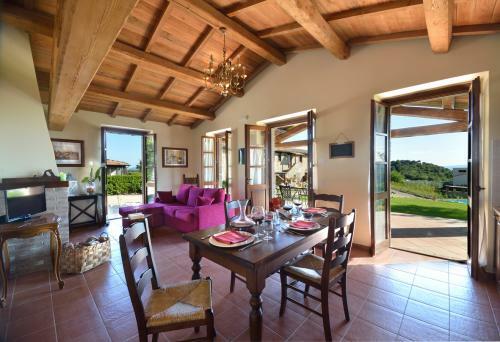 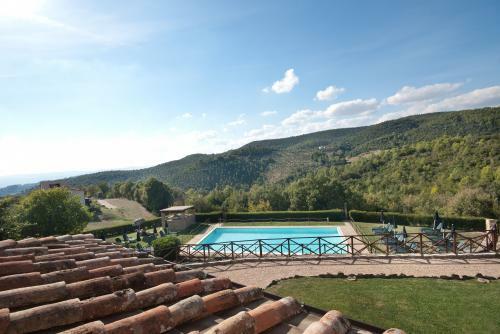 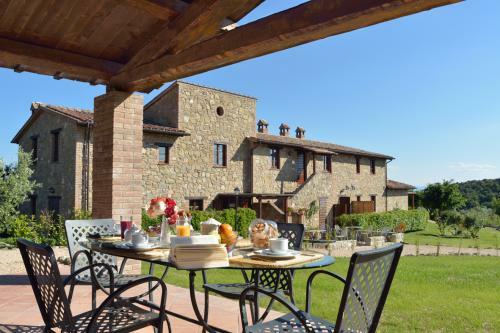 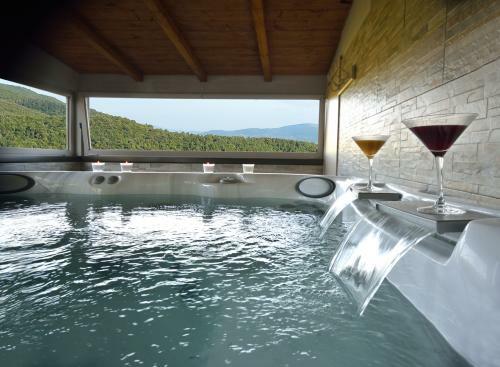 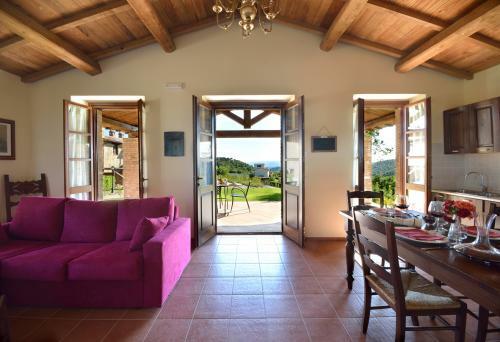 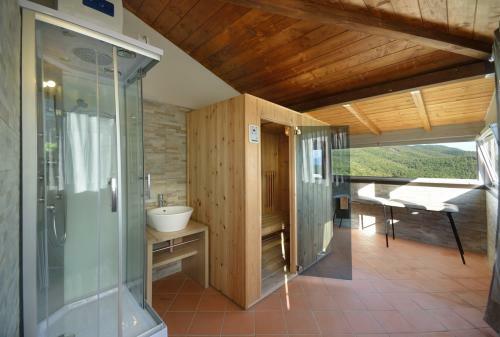 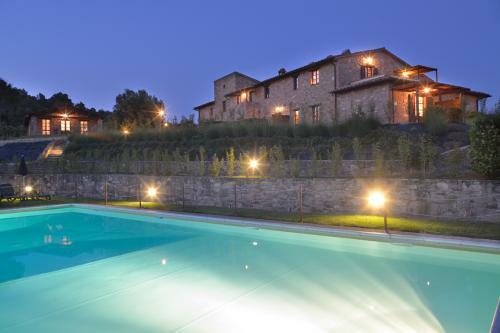 Inside the estate of Forte Sorgnano there is a glass structure, with a panoramic view, that includes a wellness area with a Jacuzzi pool 4-6 pax, shower and sauna. 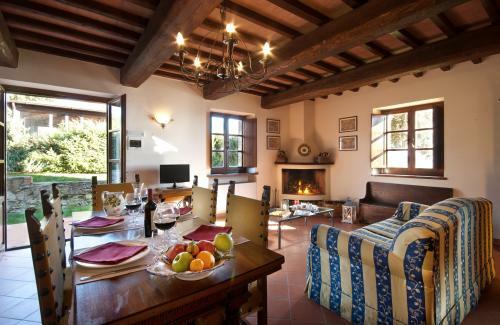 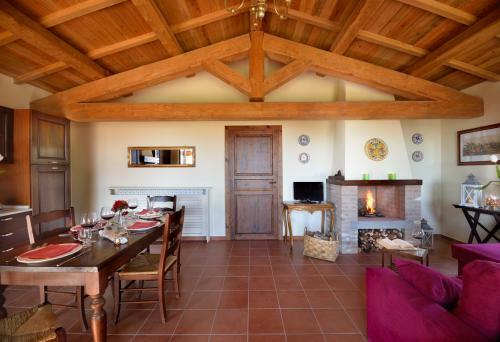 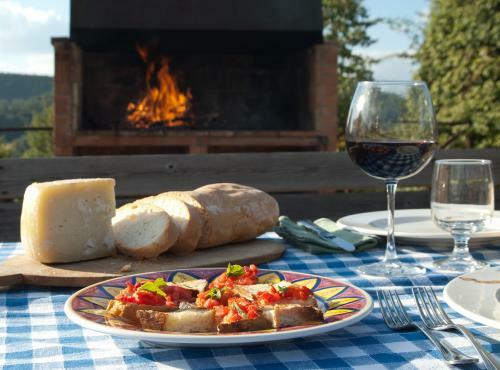 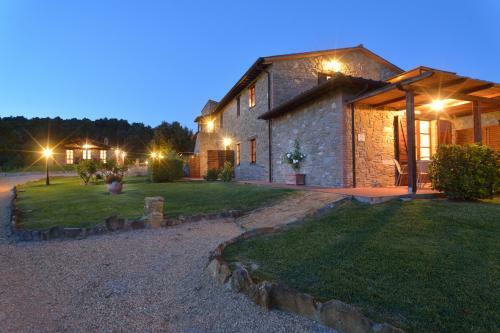 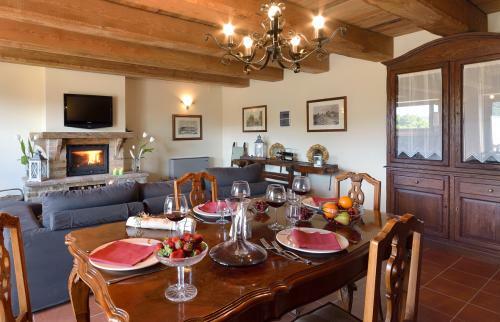 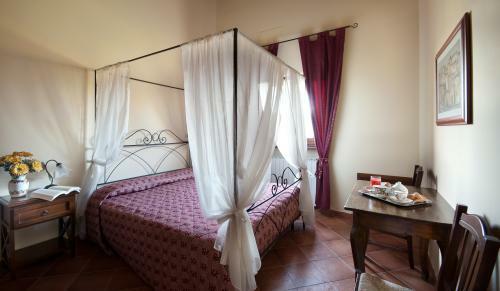 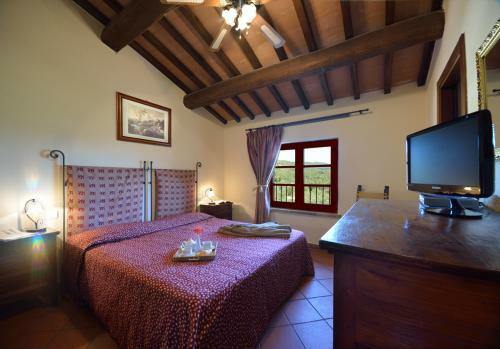 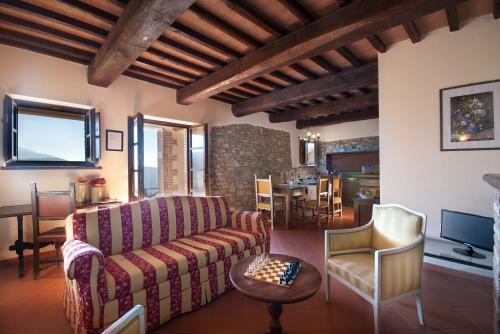 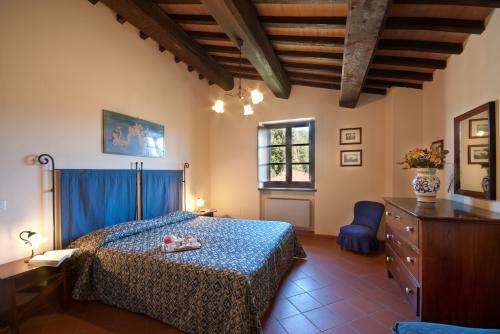 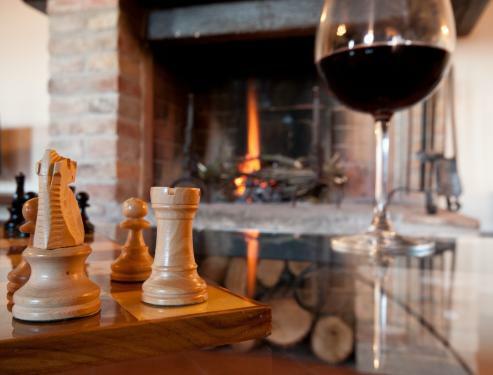 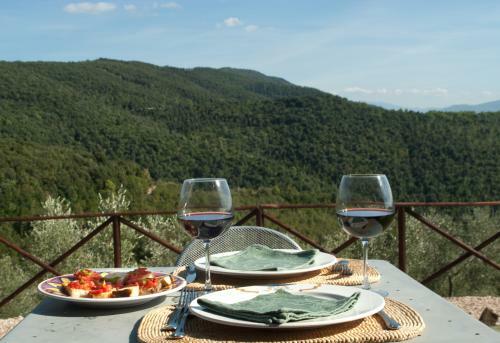 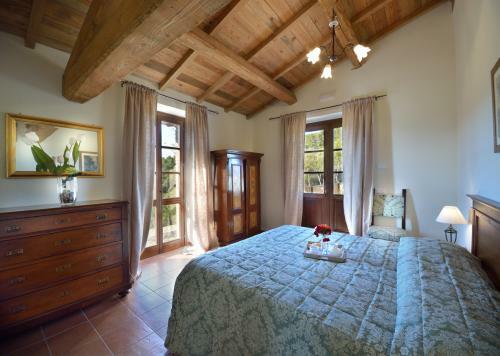 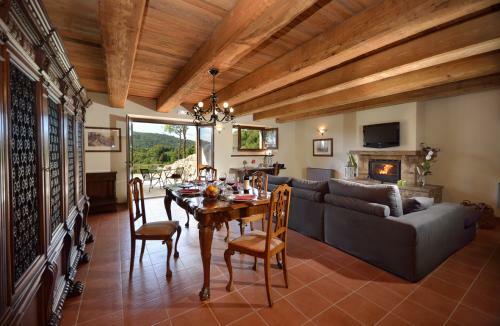 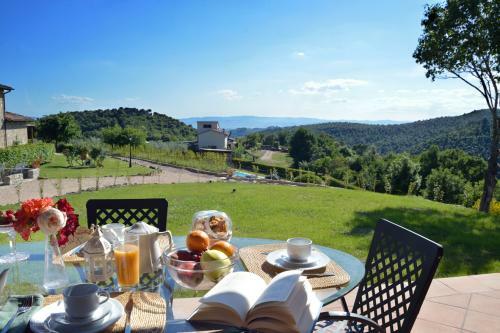 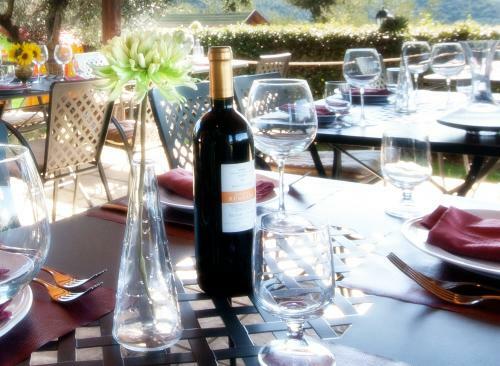 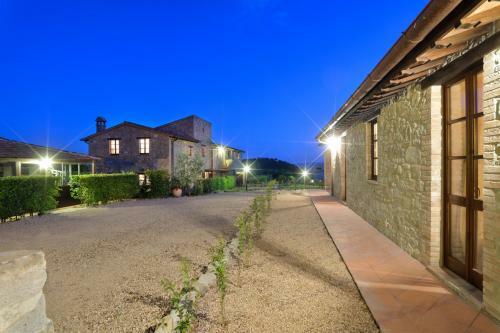 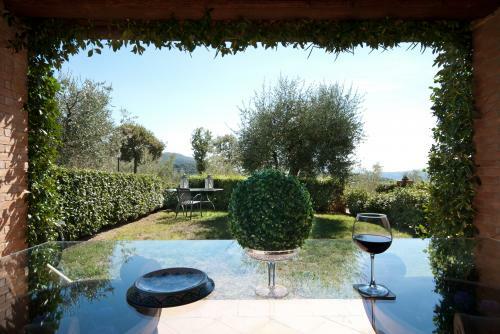 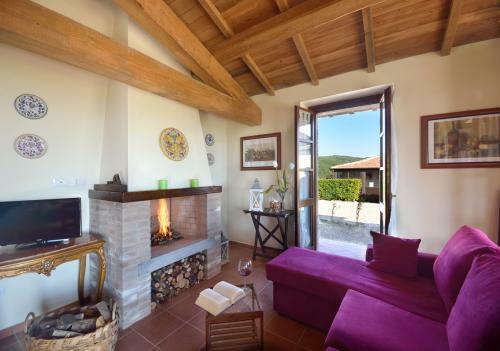 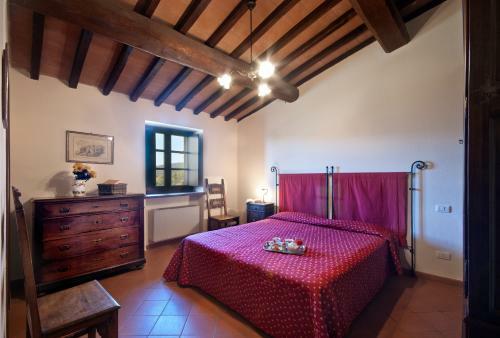 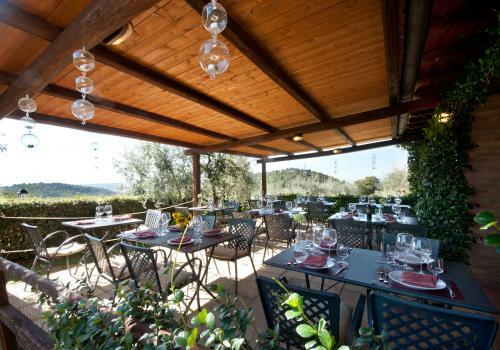 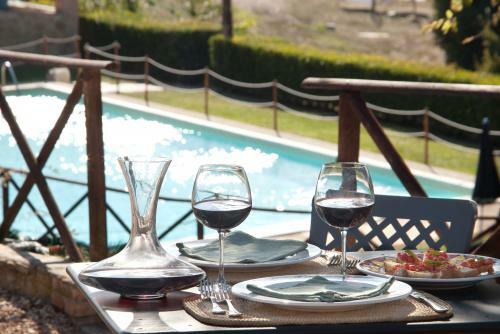 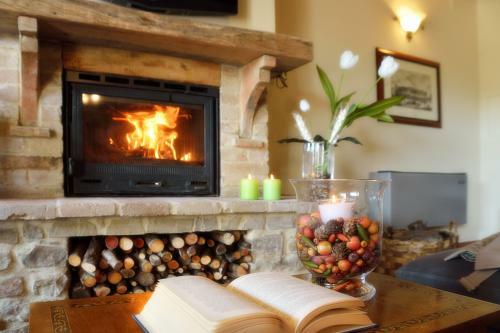 A little corner of relax with exclusive use of the hosts.Forte Sorgnano has a restaurant that offers the best Umbrian cuisine, in a large dining room that overlooks the garden or an outdoor terrace surrounded by flowers and ancient olive trees. 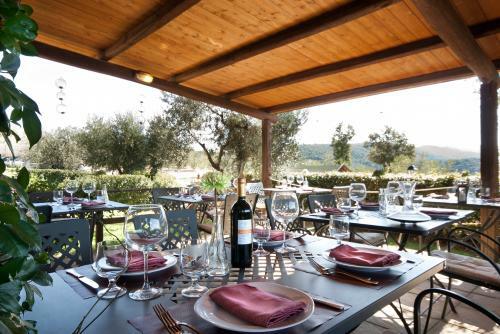 To this enchanting setting, this location is perfect for weddings, celebrations and others special occasions.Forte Sorgnano is a farm which extends for 208 hectares, between woods, Mediterranean forests and a century hold olive grove to which have been added more than one thousand younger olives. 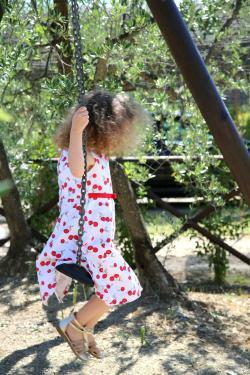 Within the farm there are also many animals: goats, pigs, rabbits, geese, chickens, guinea fowl and ducks. 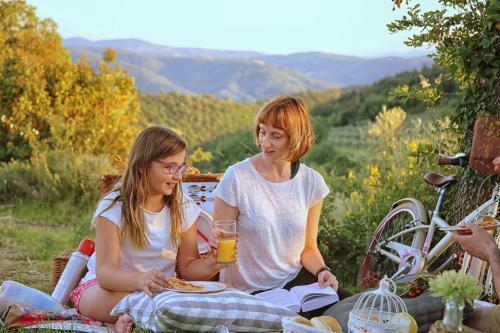 Older and younger can have fun doing "farmers for a day", giving food to the animals and gather fresh eggs for breakfast in company with the factor. 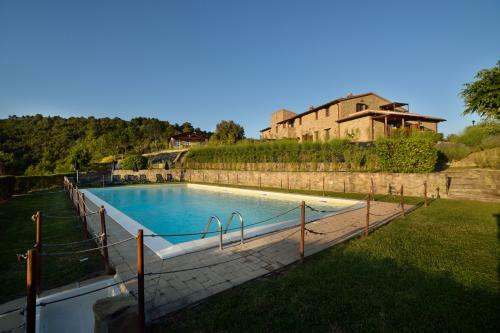 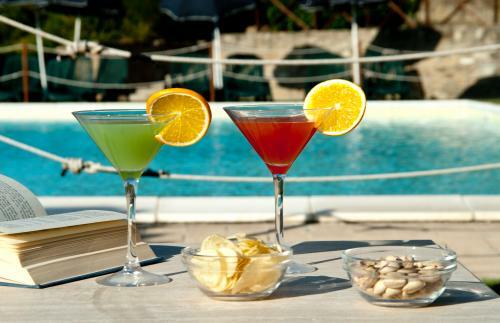 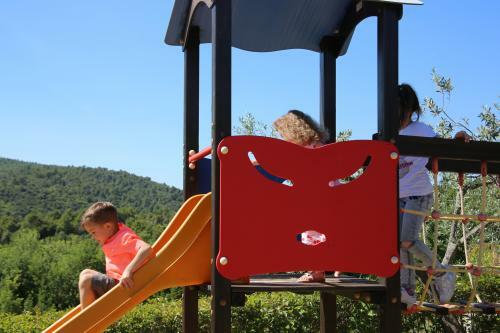 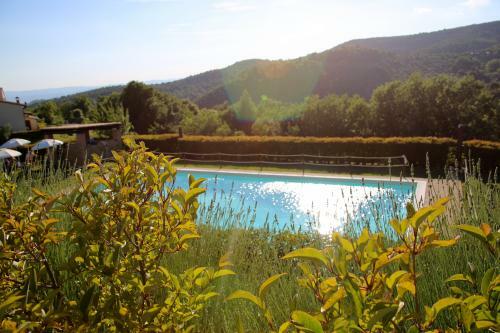 From swimming pool to mountain bike riding, from ping pong to gym, continuing with the football field, volleyball field and bowling green up to the the walks along the local trails, Forte Sorgnano offers many opportunities of amusement for all the needs of its guests.